As the title state; tigers never change its stripes, the same could essentially be said about us humans. Humankind haven’t turned the Breton stripe trend down since it first was introduced by French navy seaman’s more than 100 years ago. What is it about these stripes that make us keeping going back to them? It is one of them fabulous basic pieces that if you have it in your wardrobe, it would be used frequently. Maybe it is the perfect colour combo of navy blue and white, that makes us dream of nostalgic sea, sun and French sailors? Or is it that it goes with absolute everything? It is easy to dress both up and down. Either it is after work drinks (match with red lipstick) or a Sunday afternoon stroll in the park – the Breton stripe top makes the perfect fit. This spring you could wear your Breton top with some of the latest trends like white heels, boyfriends’ jeans or bomber jacket. Or why not wear a nice white lace skirt or an emerald pair of shorts? Neon, which entered the fashion scene again last season, is certainly hot this year as well. First and foremost neon accessories will be trending, think clutches, shoes and big bold necklaces. If you are daring enough a yellow neon blazer would look great with a white pair of shorts and your Breton top! Inspired by Breton stripes the big talk of fashion SS13 is the monochrome and geometric patterns. It is everywhere, on pants, tops and dresses, a definitely must have this season if you are a self-proclaimed fashionista. All these styles and colours are going to be hot this spring and following summer. If you like to wear your stripes in its home of origin, you have the opportunity to enter this competition, to win a romantic weekend away for two in the city of love, Paris! 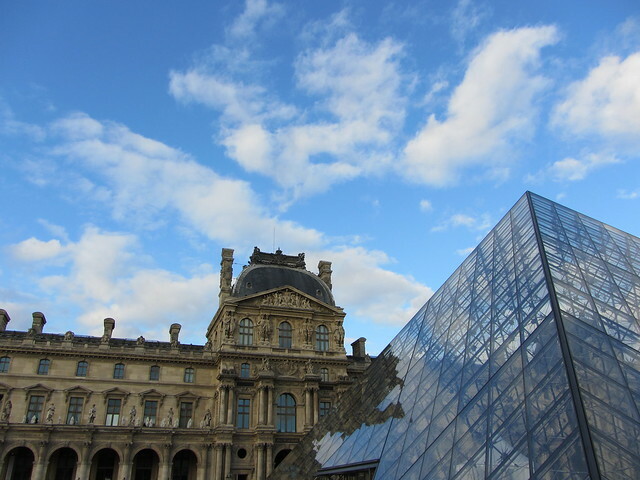 It is such an exciting city, The Louvre, its fashion, its people, The Eiffel Tower, the architecture and its wine and food – it is all a fresh air of inspiration. Bring on the spring and summer, even if the weather is failing on us – there is no reason to not embrace the fresh new fashion out there - and mix it with the old classics, the stripes - because as far as I am concerned - I don’t change my stripes. I'm still yet to own a stripe skirt. Need to rectify this! Love Breton stripes, need to invest in a new one though! You've made me long for the summer even more after reading this! Just returned from Paris last month, now I want to go back and wear red lippy and a Breton tee!